In the 1940s and 1950s, Albert Schweitzer was one of the best-known figures on the world stage. Courted by monarchs, world statesmen, and distinguished figures from the literary, musical, and scientific fields, Schweitzer was awarded the Nobel Peace Prize in 1952, cementing his place as one of the great intellectual leaders of his time. Schweitzer is less well known now but nonetheless a man of perennial fascination, and this volume seeks to bring his achievements across a variety of areas philosophy, theology, and medicine into sharper focus. To that end, international scholars from diverse disciplines offer a wide-ranging examination of Schweitzer s life and thought over the course of forty years. "Albert Schweitzer in Thought and Action "gives readers a fuller, richer, and more nuanced picture of this controversial but monumental figure of twentieth-century life and, in some measure, of that complex century itself." Albert Schweitzer in Thought and Action was published by Syracuse University Press in November 2016. The ISBN for Albert Schweitzer in Thought and Action is 9780815634645. 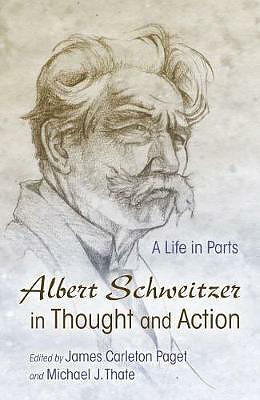 Be the first to review Albert Schweitzer in Thought and Action! Got a question? No problem! Just click here to ask us about Albert Schweitzer in Thought and Action.